The Project is located one block from the city’s central park, in a pedestrian friendly, mixed-use urban center. This classic, four-story, modern building, offering panoramic views of the city skyline, the park and bay served as the city’s Blood Bank for nearly forty years. Built with open concrete coffered ceilings, columns, and floors; the original elements were covered over throughout the years. 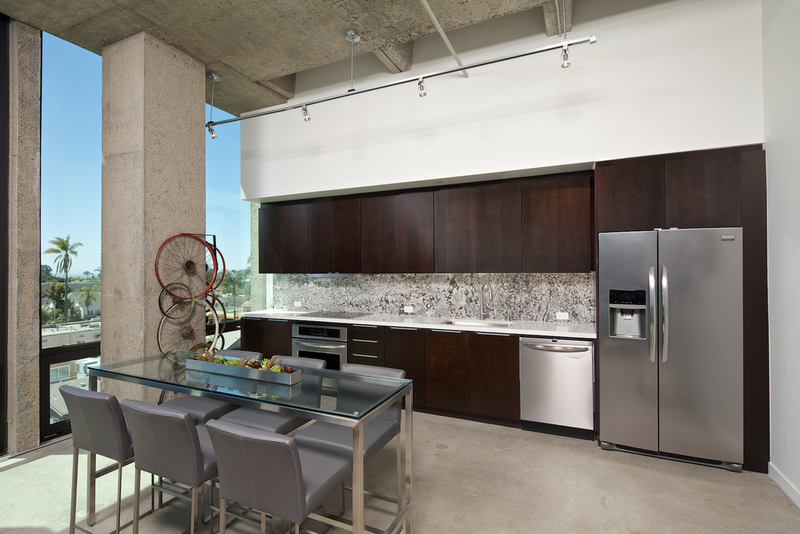 Our goal was to design expansive, energy-efficient units and expose the concrete interiors to create a bold, clean, industrial loft. 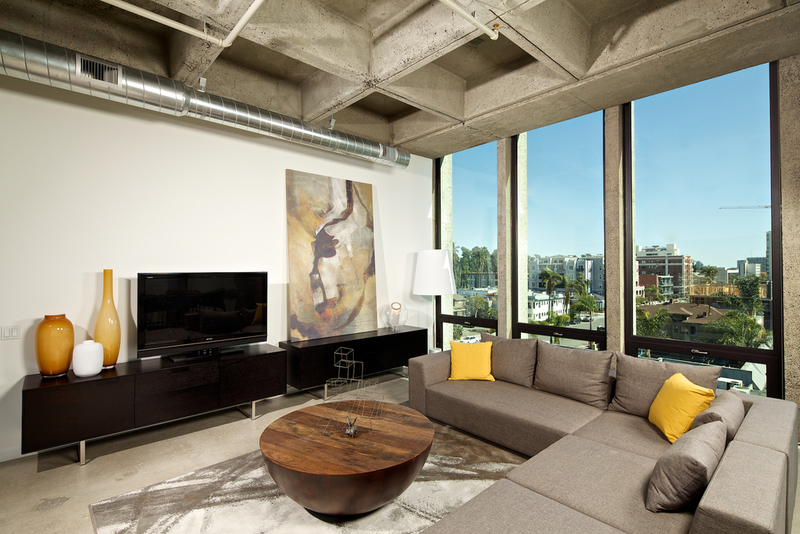 The concrete was sandblasted; the concrete floors were ground smooth and sealed; single glazed windows were replaced with energy efficient, dual glazed floor- to-ceiling vinyl windows; and new energy efficient mechanical and electrical systems were installed. The unit floor plans were left open to provide for a flexible work live environment, including the layout of the modern linear kitchens. Private exterior balconies, with bi-fold glass doors, were added; with the ground floor units opening out to private landscaped patios. The ground floor commercial space was designed for a future restaurant, office or retail use. Through the adaptive re-use of this timeless structure, an innovative loft-living opportunity has been realized for upscale urban professionals.